Fully welded construction ensures unmatched strength and longevity. No bolts to loosen, rust, or parts to rattle. Frame mounted for superior impact resistance and added durability. 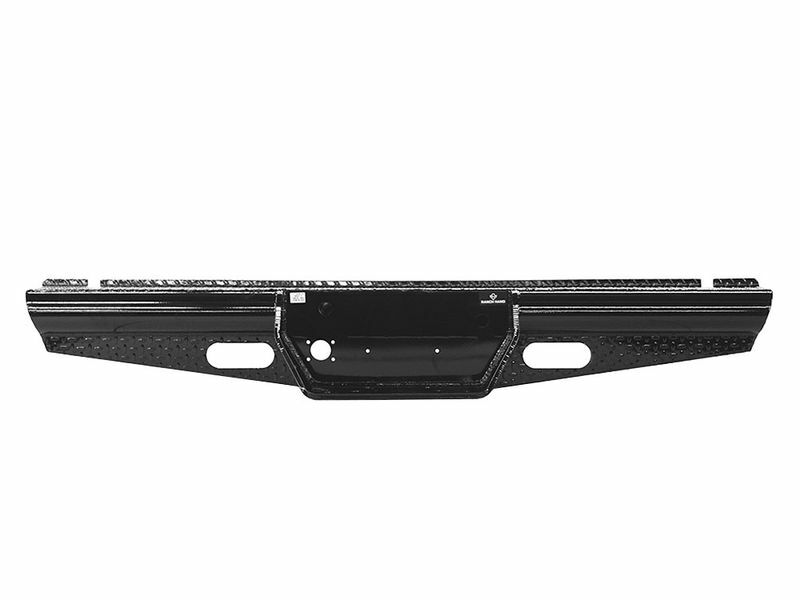 The perfect to compliment to your Ranch Hand Legend Series front bumper, the Legend Series rear bumper has all the protection, durability, and styling that you expect from Ranch Hand bumpers. Hand built by Americans in South Texas, these bumpers are built to last, using only the toughest bumper materials, like schedule 40 piping and diamond plate steel, and most the advanced build techniques, such as a one-piece welded design. Featuring explosively bright auxiliary LED lights to aid when hooking up your trailer or backing into dark job sites. These rear bumpers are also sensor compatible and retain the factory hitch for almost every model. No matter what you do with your truck, Ranch Hand provides the looks you want and the protection you need with the Legend Series rear bumpers. Grab a buddy and a few tools and mount your Ranch Hand Legend Series rear bumper by following the provided installation guide. For any questions give our excellent customer service team a call at 1-877-216-5446.